If you are a fan of the short story, Telling Stories by Walter Cummins is a collection you don’t want to miss. Published earlier this year by Del Sol Press, it features twenty-five pieces that showcase the range of Cummins’ mastery of the art of the short story. 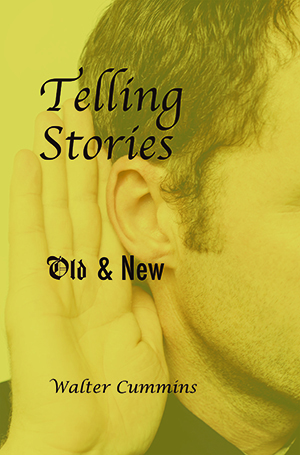 The title piece, “Telling Stories,” was originally published in the Spring / Summer 2014 issue of South 85 Journal. To celebrate the new collection, South 85 Journal caught up with Cummins for an interview. Tell us about how you developed the idea for this collection. “Telling Stories” was the inspiration for the collection. Rather than being an after-the-fact choice for a title piece, it became the impetus to gather other stories that explored the possibilities of where stories come from. In “Telling Stories,” Russell, the protagonist, can’t stop regarding the lives of others as sources for fictional situations. But what writer doesn’t? Or is it just me? But I’ll plead that I’m not as fixated as Russell. At least not at this stage of my life. As the description of Telling Stories on your website notes, the collection “explore(s) many varieties of storytelling.” Did you make the selections to showcase different types of stories? The recognition of the varieties was, unlike the title story, after-the-fact. I saw the stories I had chosen and realized they constituted a range—from traditional realism to almost fabulism, from consequential narration to groupings of compressed scenes, from “normal” length to short shorts, from third person to first. In that case, how did you decide what stories to include in the collection? When choosing the stories to include, I began with the intention of sticking with stories published in magazines since my previous collection. Then I decided to look over stories published many years ago in the pre-digital days, the earliest from 1972 and 1973. In fact, one was my first story publication after years of my trying—and failing—to be a novelist. I unearthed about twenty-five uncollected old stories (thus the “Old” in the subtitle) and rejected half. The keepers required scanning, something I wouldn’t have attempted in earlier stages of that technology. What is your favorite type (or types) of story to write? My ideas for stories arise from a recognition of a character in a problematic situation, often from actual behavior I’ve observed or been told about. The writing challenge involves coming up with an initial scene and developing that scene into a shaped story, through discovering what happens next and how what happens makes a statement. Every story requires many stages of problem solving. I can’t sit down and plan to write one of the varieties in the collection. I let the character and the situation determine how the story will turn out. One thing that really impresses me about your stories is your intimate knowledge of your subjects and characters. Do you have to research your subjects, or do you choose subjects and types of characters that you already know a lot about? I do almost no research beyond checking the accuracy of certain details. The places that serve as the settings I usually know well, and I often present them in an almost reportorial sense. It’s the characters that are made up, sometimes based on people I know, but frequently on people I’ve seen interacting, say, on a train or in a restaurant. In the writing, I try to imagine their life circumstances and the drama that arises from them. Your question led me to do tabulation: only six of the twenty-five stories in the collection could be considered autobiographical, with a few others based on circumstances where I was a direct observer. Most are imagined. What advice do you have for someone wishing to write short stories? A story should focus on one central dramatic issue that might involve several characters. But every incident in the piece should relate to that issue. Start with a scene that establishes the issue, most usually though some human interaction, and let your imagination take off from that scene. Almost always, I find the language of that scene the source of all that follows—the narrative tone and perspective. What other short story collections – or just single stories – can you suggest to our readers? Beyond the usual list of Joyce, Chekhov, Carver, Alice Munro, Updike, Cheever, Oates, I recommend two British storywriters—Tessa Hadley for her ability to link past and present, often events from decades apart, and Ali Smith for her ability to reinvent what makes a story. Of course, we are fortunate to live in a time of an abundance of magazines that publish good stories. They are all around us. Walter Cummins has published six short story collections—Witness, Where We Live, Local Music, The End of the Circle, The Lost Ones, Habitat: stories of bent realism. More than 100 of his stories, as well as memoirs, essays, and reviews, have appeared in magazines, in book collections, and on the Web. With Thomas E. Kennedy, he is co-publisher of Serving House Books, an outlet for novels, memoirs, and story, poetry, and essay collections. 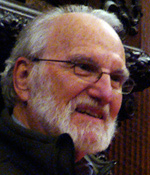 For more than twenty years, he was editor of The Literary Review. He teaches in the MFA in Creative Writing program at Fairleigh Dickinson University. Debby DeRosa holds a BA in English from the University of South Carolina-Columbia and an MFA in Creative Writing from Converse College. In addition to being Editor-in-Chief of South 85 Journal, she is the Marketing Manager of Five Star Plumbing Heating Cooling in Greer, SC, and she freelances as a copywriter and content developer.